PicPick is really the best tool when it comes to basic photo editing. 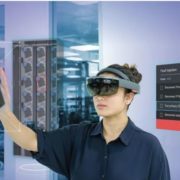 Yes, there are places, where PicPick can improve, and there are numerous features, which the developers can offer, it is still not a bad piece of the tool as of now. If you are looking for a lightweight and basic image editing tool for everyday tasks, PicPick can be the best pick for you. Moreover, you can always go for the free version if you need it for personal use and can compromise lifetime support and updates. It is almost a month that I am using PicPick, primarily a painting and annotating tool with a plethora of bonus functionalities. I have tried a number of such similar software in the past but wasn’t really contented with them, as I am, after using PicPick by NGWIN developers. Calling it a painting tool will be injustice with the cool set of features it offers. I shouldn’t even call it a tool solely for taking screenshots. PicPick integrates a number of small yet essential tools all under a single rooftop so that you do not need to switch between programs for the most basic tasks. I already have written a dedicated PicPick tutorial article in which you can also know about its functionalities. And now here I bought a PicPick review so that you guys can make your decision of purchasing its PicPick pro version. I will mainly be focusing on the features and pros & cons of the product, to guide you about how the app actually performs for everyday usage. So stay tuned and read till the end before you take your final decision of purchasing PicPick for your everyday tasks. You can download PicPick free version from here. Let’s put an eye on the features first. 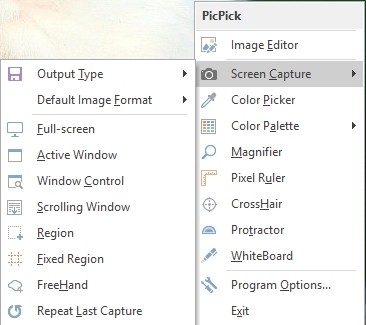 PicPick offers you a canvas with customizable size, where you can paint things, and annotate any photos and illustrations by opening them within the program. Comes with a variety of options for taking screenshots and also to manage them easily with some handy tools. You can even annotate screenshots. It also offers a huge set of graphics accessories, which include color picker, color palette, magnifier, pixel ruler, on-screen protractor, a whiteboard for touchscreens, etc. 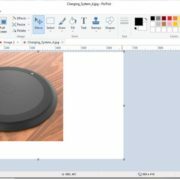 While painting things on the canvas, the user interface is quite similar to that of Microsoft Paint, and thus, you can get started with it quite easily. The images can be enhanced with some basic effects like greyscale, Invert colors, Pixelate, blur, and many more. Easy to share images and creations on social networks and FTP, directly from within the app, which is pretty handy. The premium version comes with an option for lifetime support and updates, along with the permission to use PicPick for commercial uses. That was pretty much the features. Now let’s have a look at the pros. 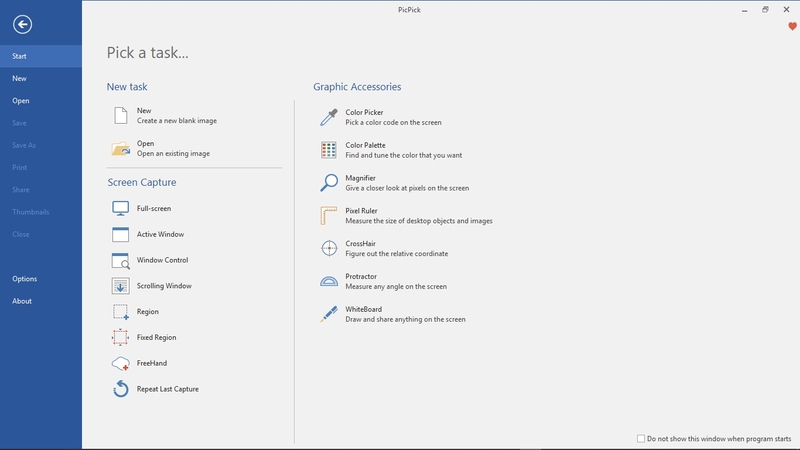 For drawing things, the user interface is quite similar to Microsoft Paint deserve the first space in the list of pros. Most users can get the similar options in the most familiar places. Taking screenshots is really rejuvenated with PicPick. You can take a screenshot of the active window, any region of the screen, full screen, free area, and last but not the least, scrolling screenshots. Unlike most other screenshot taking tools, the scrolling screenshot taking tool with PicPick is not limited only to a particular browser. You can capture any scrolling area easily by just selecting it. Yes, that easy. Users can effortlessly customize the hotkeys for taking screenshots, which is pretty handy to take screenshots without opening the app for the purpose. 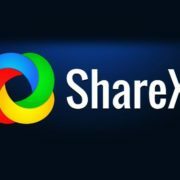 The share feature is not half-boiled. It supports the most popular cloud services, which include Dropbox, Google Drive, OneDrive, Box, and many others. Among social networks, you can share it on Facebook, Twitter, Skype, or even through email. You can also open a creation directly in Microsoft Word, Excel, etc. Apart from saving the creations to image formats like JPG, PNG, GIF, BMP, etc., you can even save your creations in PDF format. That is really a big plus. 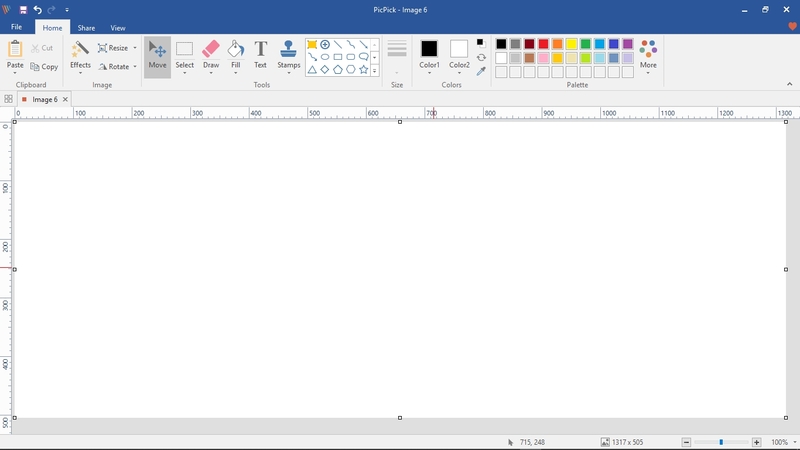 The user interface, look and feel of the PicPick start screen is quite similar to Office 2013, and the user interface for the PicPick canvas closely resembles Microsoft Paint. Thus, no complaints about the user interface. Portable version even for the paid edition is also available apart from its availability for the free version. Doesn’t come with useless features, which don’t impose any useless load on the system, offering a decent performance. The free version of the app doesn’t even come with any ads as well. Consumes very little space on the hard drive. It took around 34 MB on my system, which is worthy of a feature-rich program like this. That was all about the pros of PicPick. Now the negative part. The cons I noticed, while I was doing the PicPick review. The cons are not many though. There are a few expectations, as well as from PicPick. I tried to take scrolling screenshots within a scrolling area of a window, but it wasn’t successful. I actually tried to take the screenshot of a Facebook chat box, but I failed. I tried the same with other scrolling screenshot taking tools but wasn’t successful though. PicPick raised my expectations from it. I wish they introduce the feature in the next update. Though pretty similar to Microsoft Paint, some features, like the presence of different brushes, viz. Calligraphy, Airbrush, Oil Brush, Crayon, Watercolor brush, etc. are missing. I wish PicPick take a note of it and introduce the features soon. Microsoft Paint offers an option to increase the size of the eraser. The same is available in PicPick, but I wish there was a provision to increase the size of the eraser further for additional benefits. I wish there were a few more features within PicPick. 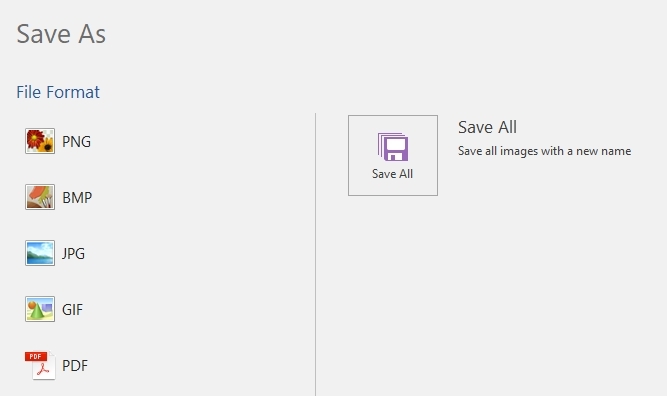 There is no option for combining images for making a GIF or just an output image. I wish such options were available. Though users can always add multiple photos to the canvas to make a combined image, that will not be as good as doing it with a dedicated tool. Though PicPick is not a full-fledged image editing tool, I wish there was the option to edit images and add different types of filters on the images. That is not going to be a killer option, but it will surely be helpful for some. That was all about some cons of PicPick. What do you think about PicPick? Will you use it? Please let me know your views in the comment section down below.